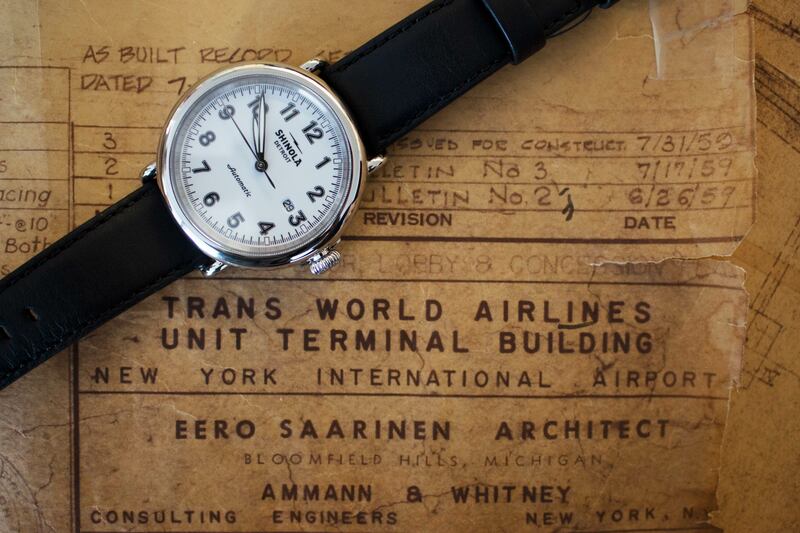 Timeless appeal: Shinola’s Detroit-made Runwell Automatic watch ticks atop original TWA terminal blueprints from architect Eero Saarinen’s Michigan-based firm. Nonstop from Detroit to JFK! Top watchmaker Shinola will land soon at the TWA Hotel. A partnership made in the Motor City! Shinola — known for its handcrafted luxury watches — will debut a new outpost in the landmark 1962 former Trans World Airlines terminal designed by architect Eero Saarinen. 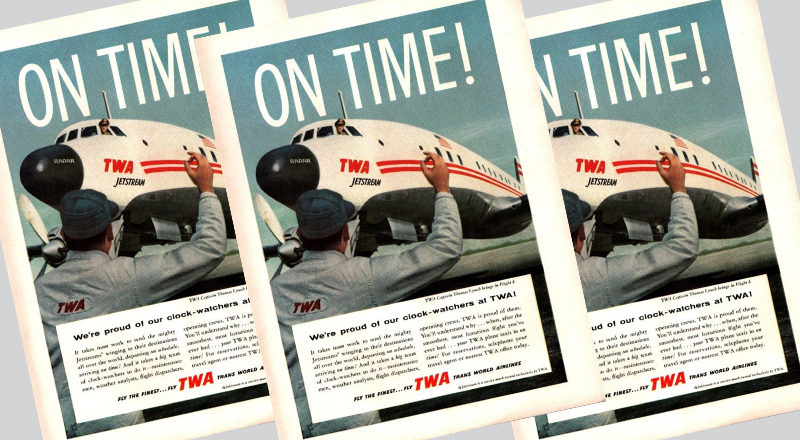 TWA prided itself on its punctuality as this 1958 ad attests. 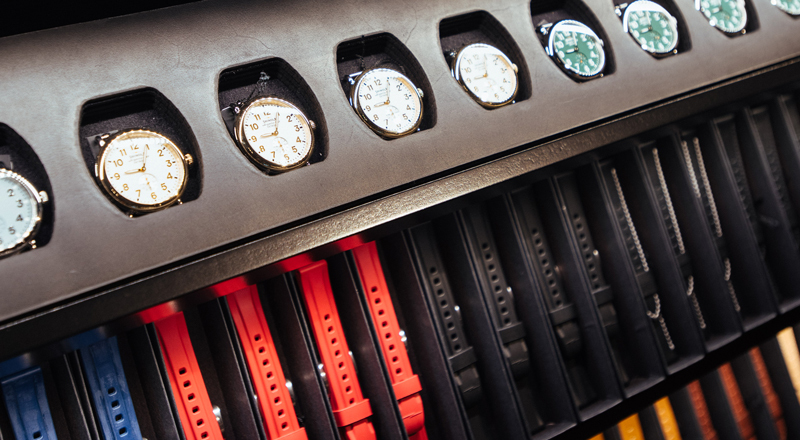 The store will feature a custom watch bar — shoppers can choose from a variety of dials and straps and have a personalized timepiece built in the store. The brand will also offer an assortment of its premium leather handbags, wallets and journals, as well as audio equipment including speakers and turntables. A monogramming station will emboss initials and names on journals and leather goods free of charge. 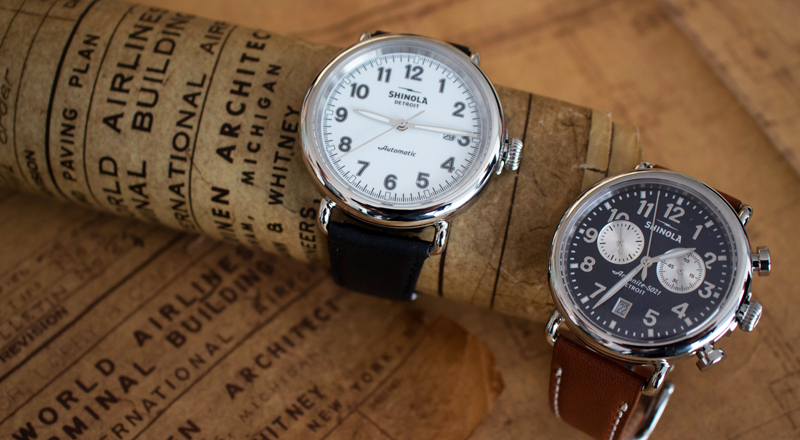 Just like old times: Shinola’s Runwell Automatic watch (left) and Runwell Chrono watch with Saarinen’s blueprints. 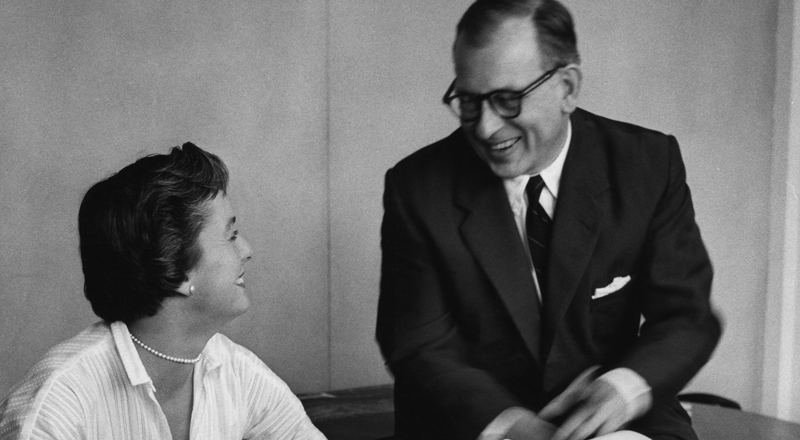 Florence Knoll and Eero Saarinen circa 1960; courtesy of Knoll Archives. It’s not the first time Detroit-bred talent has landed at JFK: The former TWA terminal has a strong connection to the Midwest city. Born in Finland, Saarinen grew up in the Detroit suburb of Bloomfield Hills, where his father, Eliel, presided over the famed Cranbrook Academy of Art. The younger Saarinen went on to teach at Cranbrook — now recognized as the cradle of midcentury modernism — where he met future collaborators Florence Knoll and Charles and Ray Eames. 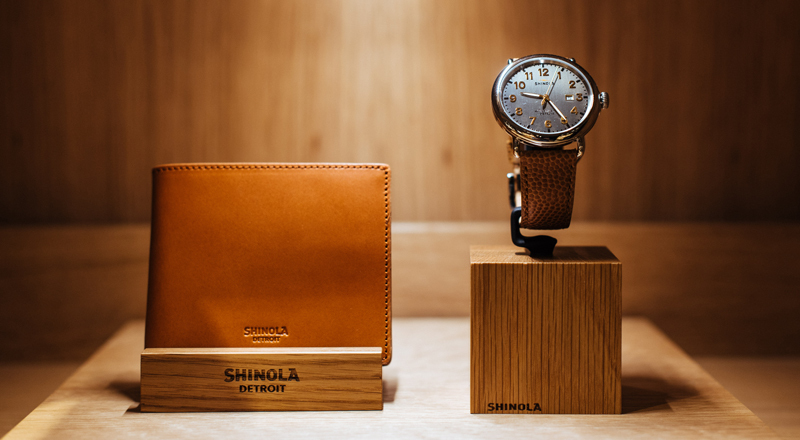 Shoppers can customize a watch inside the Shinola location at the TWA Hotel. 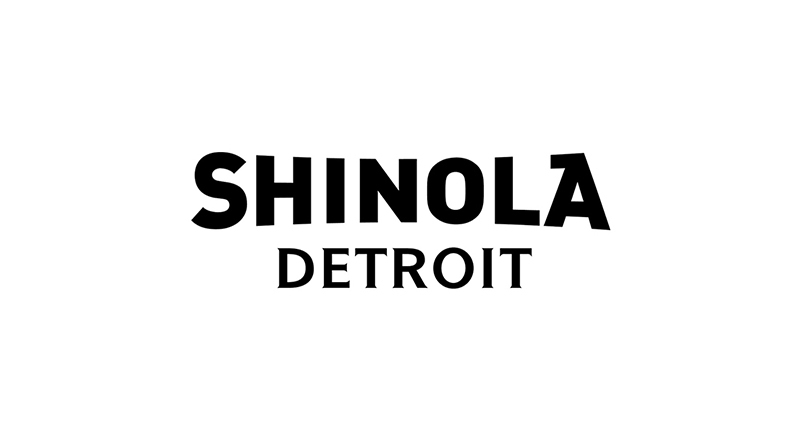 Shinola’s premium leather goods and watches will be available at the TWA Hotel location. In 1950, Saarinen opened his namesake architecture firm in Bloomfield Hills, which employed Kevin Roche and César Pelli, two architects crucial to the design of the TWA Flight Center. Charles Eames and Alexander Girard were known to drop by the office frequently and offer feedback.